Reiki Level 1, Beginner Course | Tundeworld! 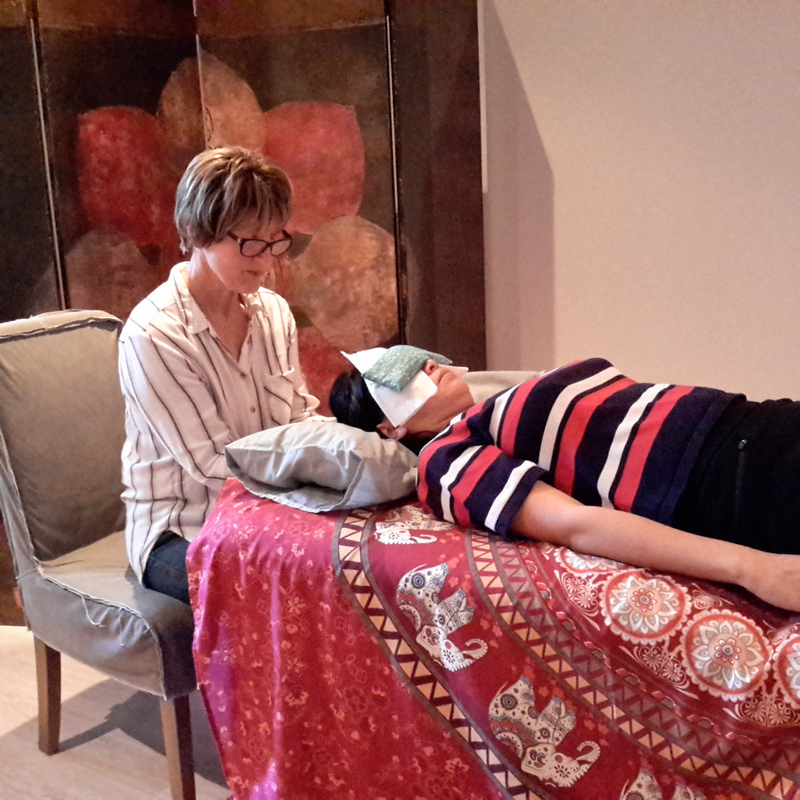 As a complementary therapy it can help speed up healing from surgical procedures, cancers and injuries. It balances our bodies and creates harmony as well as creating a sense of deep relaxation. 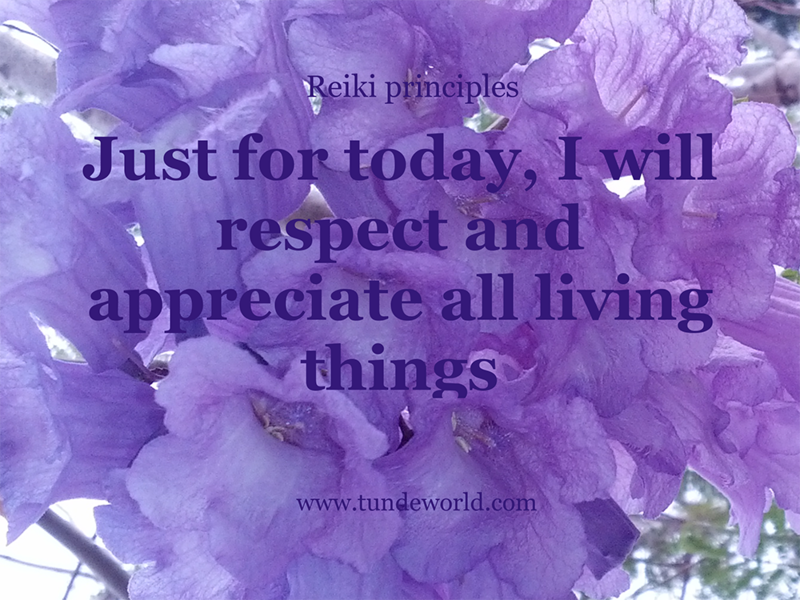 Reiki is suitable for everyone of all ages and backgrounds. Learn to channel gentle, healing reiki energy to nurture, re-energies and protect yourself and the people you care about. Balance your chakras, cleanse your aura and deepen your understanding of self-healing. Reiki is an ancient energy healing technique, popular for relaxation and re-balancing. Increase your energy levels. With Reiki practice, this inner resilience increases. Reiki is much more than a therapeutic tool, it is a path of self empowerment, a spiritual journey inviting us to be deeply centered in the heart. Your body and mind more easily remember how to come into balance. And in this state of balance, a deep inner restoration takes place. Learn how to balance your chakras and give a Reiki healing. Enjoy a happier outlook, bathe in deep relaxation and release of pain and stress. Beginners class. No experience required. Enroll Today. If you like another day as your life busy at the weekend please contact Tunde. Our Professional Reiki courses are recognized by the ARC - Australia's leading Reiki association - and the Association of Australian Reiki Professionals and ensures you receive professional training that will support you to a professional practice if you choose to further your studies to Reiki Level 1 practitioner certificate. This is important to anyone who is considering becoming a Reiki practitioner or using Reiki as part of an already established healing modality. You will explore the theory, history and precepts of Reiki to be able to relate them into your practice and participate in attunement to align you to the healing life force energy. 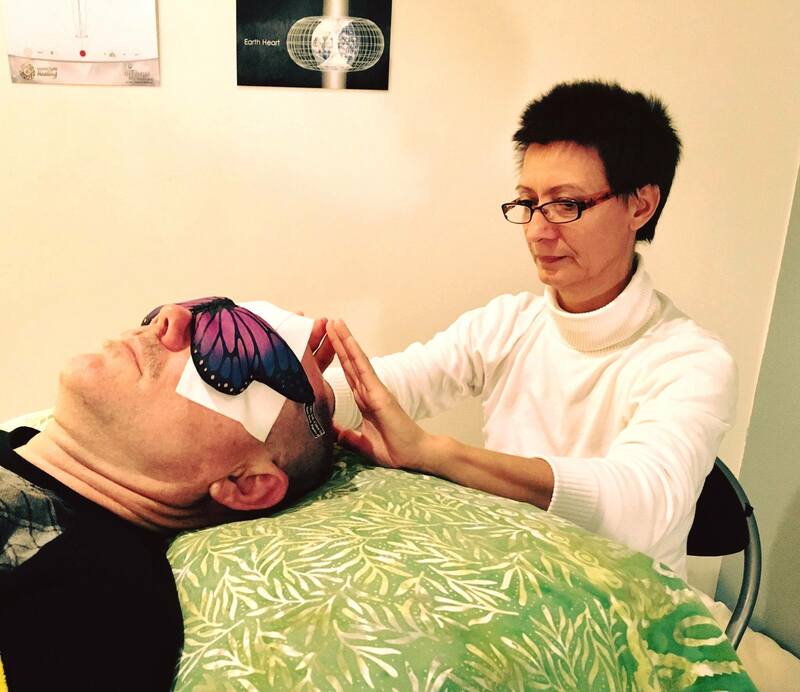 Through understanding the theory of Reiki you will apply Reiki to transmit life force energy to yourself and other through your hands, with lots of time given for "hands on" practical work throughout this course. Important information - Please bring your Own pillows if possible, a yoga mat (if you like to sit on the floor), a light blanket. Wear comfortable clothes. Reiki Level 1 can be chosen as a step towards becoming a Reiki Practitioner or as investment in your health and tool along your spiritual journey, letting us to become more intuitive and in tune with ourselves and the world around us, as well as understanding our true paths here on earth. Continue to Reiki Level 2 to become a Reiki Practitioner and Master / Teacher. All Reiki classes are conducted by Tunde – Professional Reiki Master Teacher, since 2003 experience. Tunde is a Teacher Master Practitioners member of the Australian Reiki Connection and Australian Reiki Professionals. Tunde is highly regarded as an excellent teacher of psychic development, energetic healing and meditation. Tunde provides a safe, sacred space for you to explore and develop your spiritual wellbeing. 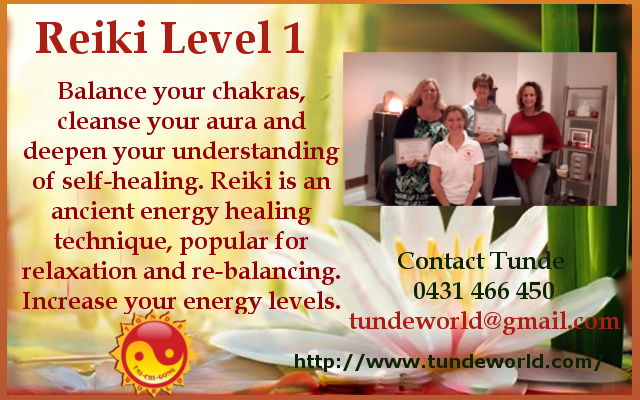 All courses ran by Tunde are recognised by the ARC - Australia's leading Reiki association - and the Association of Australian Reiki Professionals.